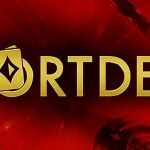 Full Tilt Poker´s Montreal Poker Festival got off to an excellent start this week ahead of the C$1Million guaranteed Main Event which gets under way tomorrow. The first event of the Full Tilt Poker Montreal Poker Festival got underway this week, busting the attendance record for any event hosted at the Playground Poker Club in Canada´s Kahnawake Territory. 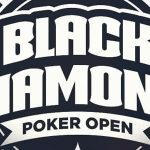 1,605 players entered or re-entered the C$150.00 buy-in tournament over the three opening days to smash the C$100,000 guarantee and create a prize pool of C$210,175 which will be shared by the top 171 players – with the winner due to receive C$35,035. Event #1 of the Festival is a mini version of the C$1,100 buy-in Montreal Poker Festival Main Event which starts tomorrow. 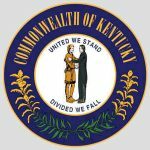 Like the C$150.00 buy-in event, there will be three Day 1s and players can enter all three if they wish – carrying their largest stack only through to Day 2 on Monday (i.e. this is not an accumulator event). Full Tilt Poker Ambassadors Gus Hansen, Dermot Blain, Martins Adeniya, Danielle Anderson, Leo Martins, Larissa Metran, Andras Nemeth, Carlos Mavca and Hana Soljan. Team PokerStars Pros Jonathan Duhamel, Vanessa Rousso, Chris Moneymaker, David Williams and Victor Ramdin. Canadian sports stars Matthew Barnaby and Georges Laraque, and local personalities including Jean-Thomas Jobin (comedian), Jean-Nicolas Verreault (actor) and Emily Begin (singer/songwriter). 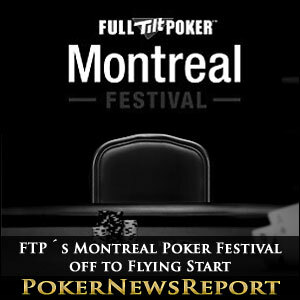 We will not know the winner of Event #1 of the FTP-sponsored Montreal Poker Festival until the weekend (you can find the result on PokerNewsReport on Monday), but the first two one-day events have already concluded. Event #2 was a C$80.00 buy-in NL Hold´em “Win the Button” tournament (where the winner of a hand is in the button position for the next hand). The novelty of the event attracted 145 players with eventual winner Josh Kimmel taking home C$2,395 and the first of seventeen Full Tilt Poker winner´s trophies that will be distributed during the Festival. 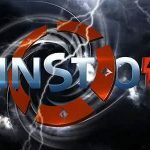 Event #3 attracted 123 players for a C$70.00 buy-in DeepStack NL Hold´em Turbo tournament. Local Playground Poker Club player Russell Turner topped the field and took home C$1,400 and a trophy after a six-way deal at the final table in which all six players were guarantee C$800.00 with an additional C$464.00 for second place and a further C$600.00 for the winner. A Canadian Dollar is worth almost as much as a US Dollar (1 C$ = 0.97 US$), about three-quarters of a €uro (1 C$ = 0.72 €uro) and slightly more than half of a UK pound (1 C$ = £0.60).